Can't wait for shipping? Electronic delivery of Crystal Reports is available for rush orders. Select free Standard Shipping during checkout and reply to your order confirmation email or contact us to request electronic delivery. We will provide a download link and your Crystal Reports license key by email as quickly as possible, usually within one business day. Your electronic delivery will be followed by physical delivery of your Crystal Reports media. please select Free Standard Shipping during checkout. Standard shipping is free for Crystal Reports orders. 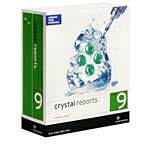 Order Crystal Reports with the standard shipping option for free shipping. Orders placed with standard shipping are delivered in about 5 business days within the United States. Same day FedEx shipping is no longer available for Crystal Reports version 9.